So who decides if someone is a journalist or not? The danger of carving off WikiLeaks from the rest of journalism, as the attorney general may attempt to do, is that ultimately it leaves all publications vulnerable to prosecution. Once an exception is made, a rule will be too, and the rule in this case will be that the government can determine what constitutes real journalism and what does not, and which publications, films, writers, editors, and filmmakers are protected under the First Amendment, and which are not. This is where censorship begins. No matter what one thinks of Julian Assange personally, or of WikiLeaks’s reckless publication practices, like it or not, they have become the litmus test of our commitment to free speech. If the government successfully prosecutes WikiLeaks for publishing classified information, why not, then, “the failed New York Times,” as the president likes to call it, or any news organization or journalist? It’s a slippery slope leading to a sheer cliff. That is the real risk being presented here, though Poitras doesn’t directly address it. Wow! 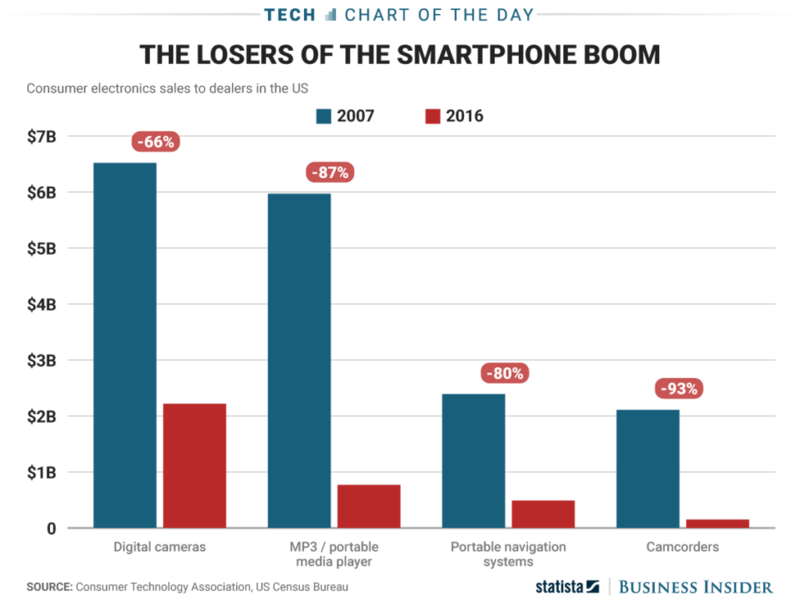 Look what happened to digital camera sales.